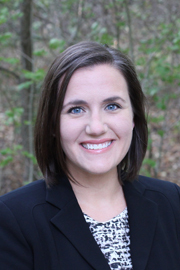 Baylor>Robbins College of Health and Human Sciences>Faculty & Staff>Faculty Directory>Kelly R. Ylitalo, Ph.D.
Dr. Ylitalo’s research interests include physical functioning, obesity, and physical activity. Specifically, she is interested in physical functioning trajectories during the mid-life and older adult years, and how behaviors like physical activity throughout the life course can facilitate healthy aging trajectories. Dr. Ylitalo applies quantitative statistical methods to longitudinal cohort studies and complex survey samples. As an epidemiologist, she works with national and local partners to evaluate and understand the health of individuals and their communities. Ylitalo KR, Karvonen-Gutierrez CA, Fitzgerald M, Zheng H, Sternfeld B, El Kouhoudray S, Harlow SD. Relationship of race/ethnicity, body mass index, and economic strain with longitudinal self-report of physical functioning: The Study of Women’s Health Across the Nation. Annals of Epidemiology2013;23(7):401-8. PMID: 23694761. Ylitalo KR, McEwen LN, Karter AJ, Lee P, Herman WH. Self-reported physical functioning and mortality among individuals with type 2 diabetes: Insights from Translating Research Into Action for Diabetes. J Diabetes Complications2013;27(6):565-9. PMID: 23891274. Ylitalo KR, Karvonen-Gutierrez CA. Body Mass Index, Falls, and Injurious Falls among U.S. Adults: Findings from the 2014 Behavioral Risk Factor Surveillance System. Preventive Medicine2016;91:217-223. PMID: 27575319. Ylitalo KR, Umstattd Meyer MR, Stone K, Doyle EI, Curtis R. Using the Community Assessment for Public Health Emergency Response (CASPER) to assess barriers to healthy eating and active living in a low-income community. Evaluation & Program Planning2016;59:41-46. PMID: 27586457. Ylitalo KR, Umstattd Meyer MR, Lanning B, During C, Laschober R, Griggs J. Simple screening tools to identify limited health literacy in a low-income patient population. Medicine (Baltimore) 2018;91(10):e0110. PMID: 29517689.